Just before Christmas, Perlen sent some new Beauty Beads and I was thrilled with what was inside the box. 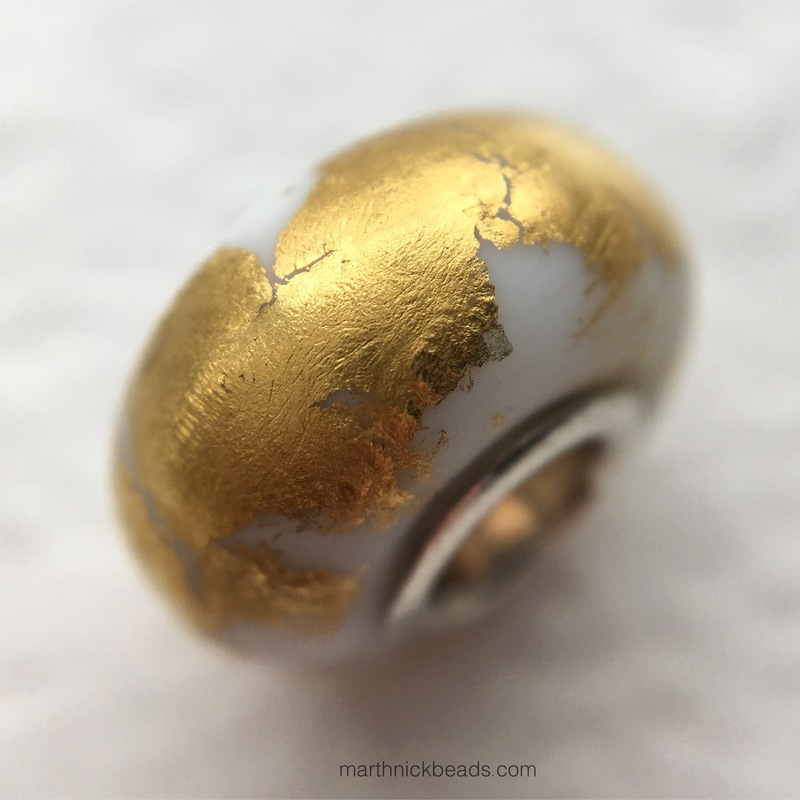 It was four beads with lots of lovely gold colouring. 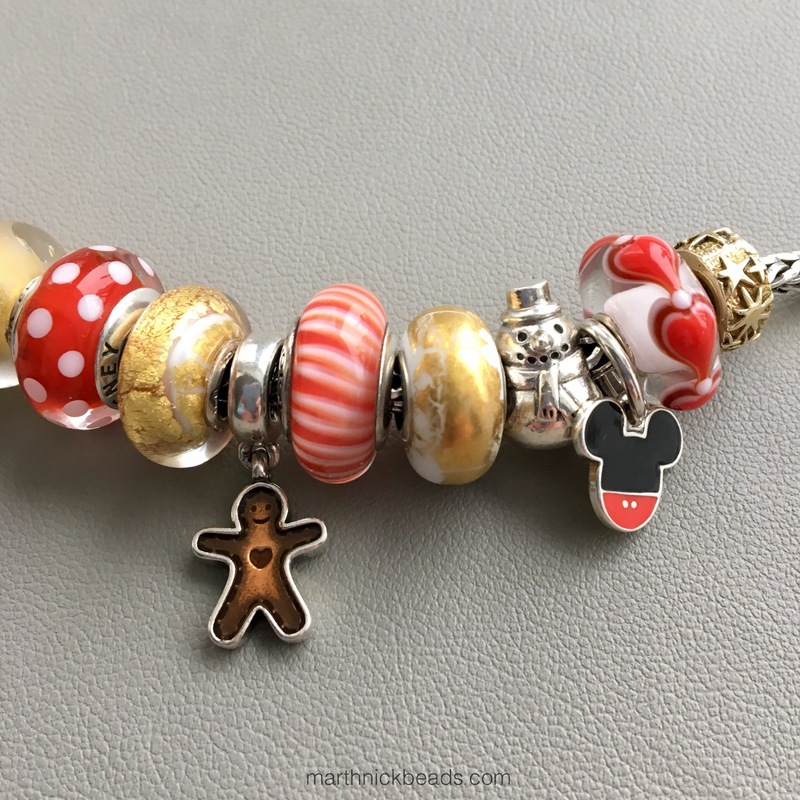 I had been at odds with what to do with my lonely Pandora Disney beads. 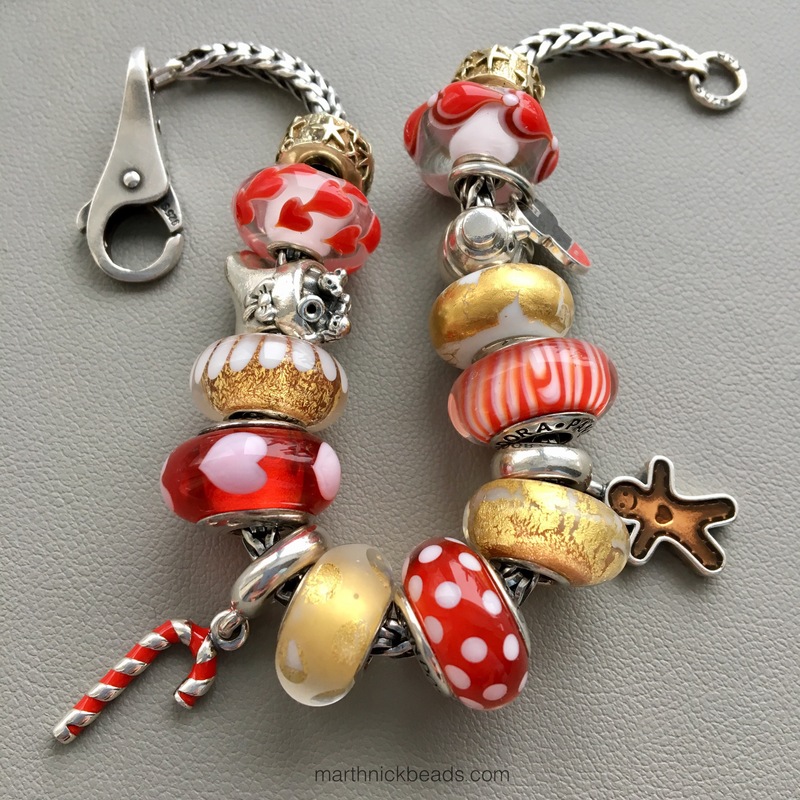 Aside from a few of the princess Muranos I only have the Mickey Mouse dangle and a Minnie Mouse Murano. As soon as I saw the new Beauty Beads I knew exactly what I wanted to do. 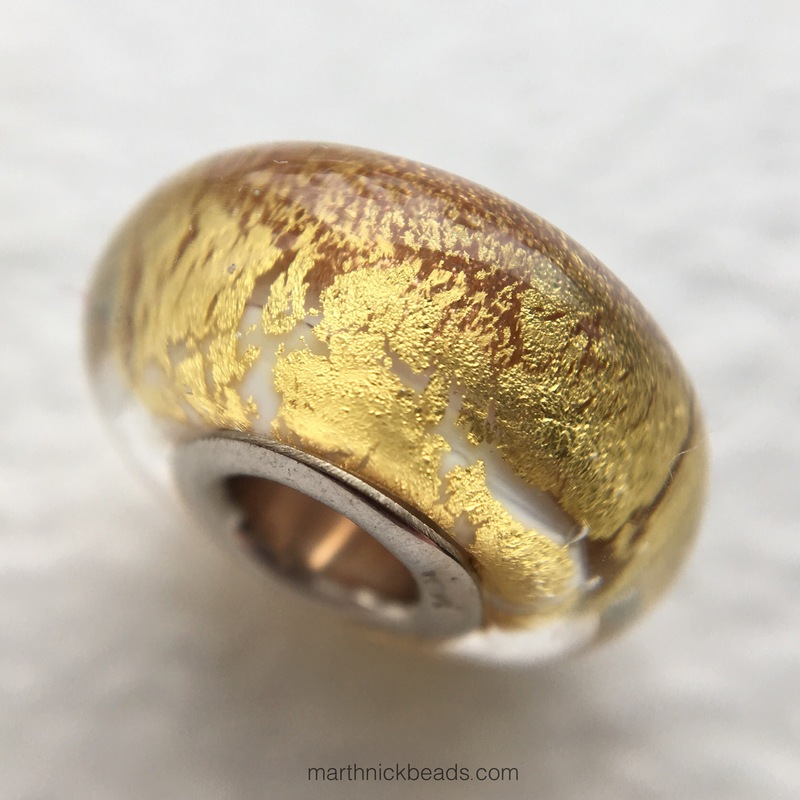 This bead is called Streams of Gold. I think it’s my favourite. It looks so lush and the price is reasonable at approximately $30 US. They have a large core and will fit on Pandora bracelets. The next one is called Desert Mirage. It’s around $35 US as are the next two beads. This one has the etched glass effect and you can see all the gold colour inside. 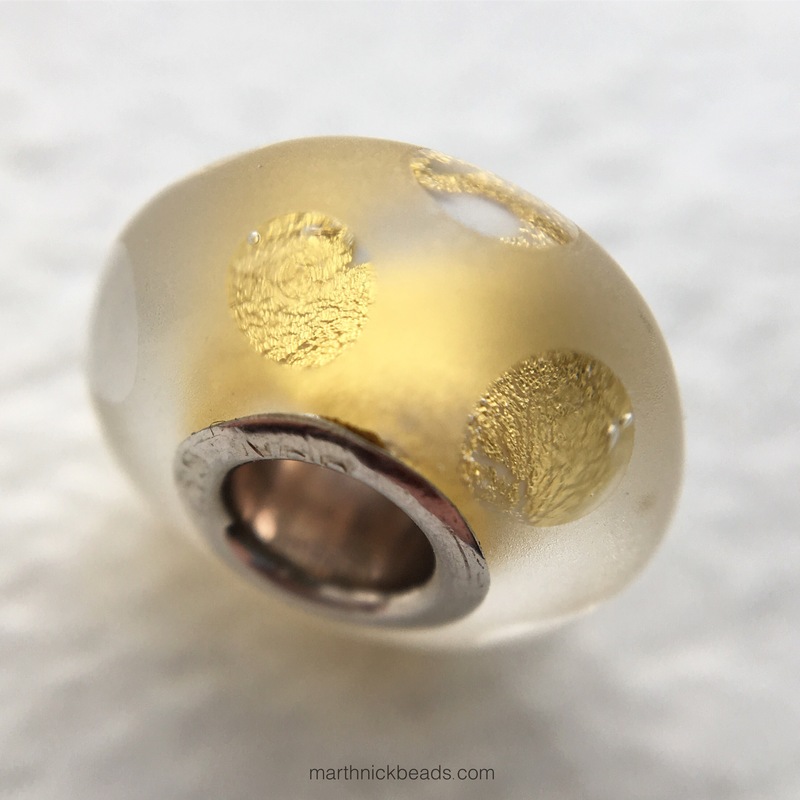 The third bead is called Oasis Lotus. And the fourth is called Golden Dunes. I can totally picture these four beads with some Redbalifrog beads, like Aladdin’s Lamp and Tutankhamen! 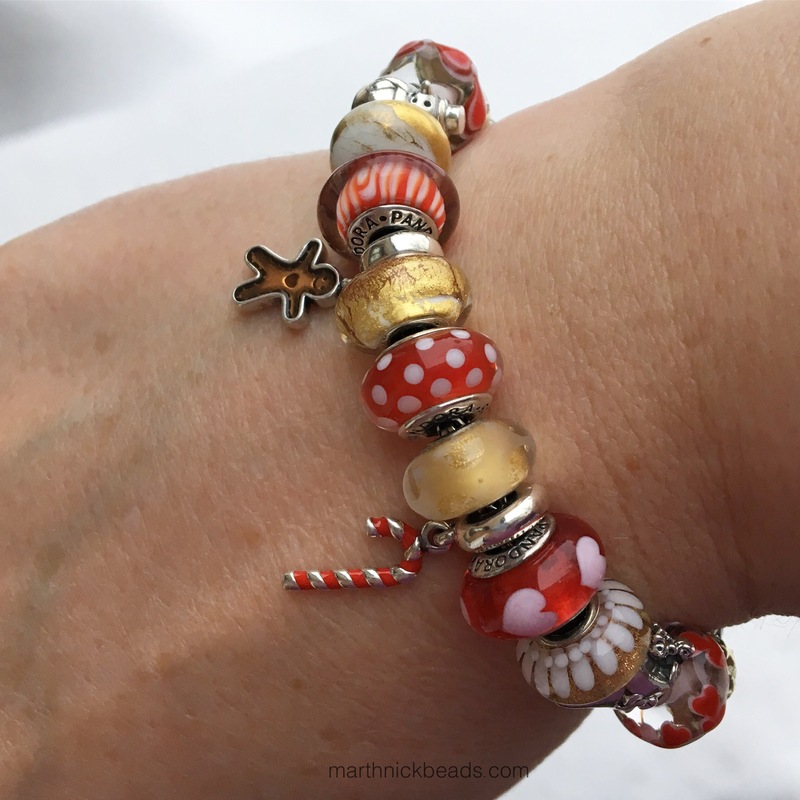 I did find the Redbalifrog brass Star Stoppers to work well with this bracelet. 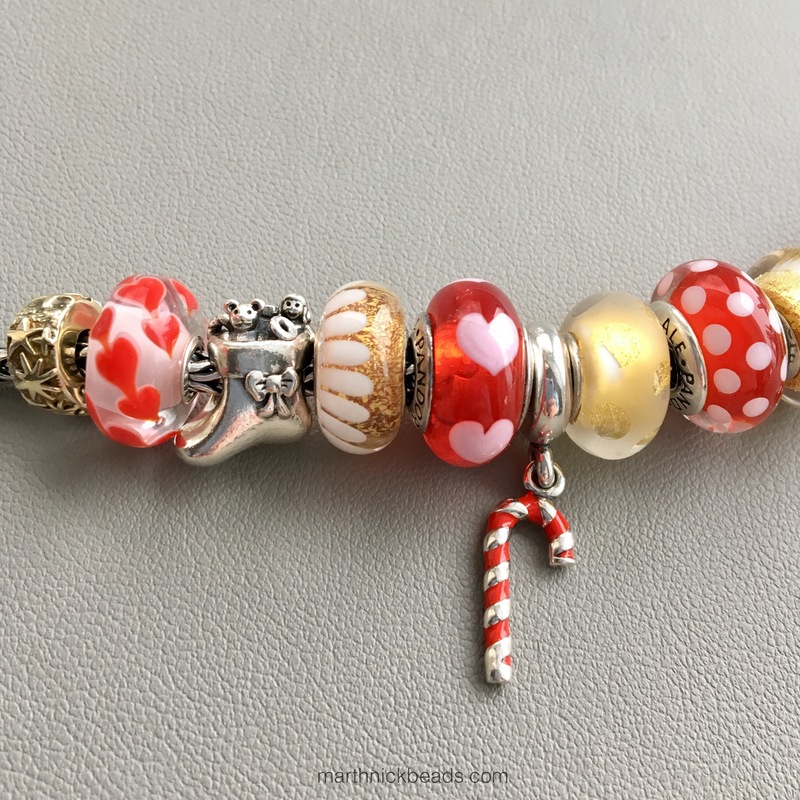 Below left to right are a bead from the Trollbeads Wishes and Kisses Kit, Pandora’s Santa’s Stocking, Oasis Lotus, Pandora’s Red Love, Pink Hearts (I found the Pandora website where they list the discontinued charms), Pandora’s Candy Cane, Desert Mirage and Pandora’s Minnie’s Signature Look Murano. 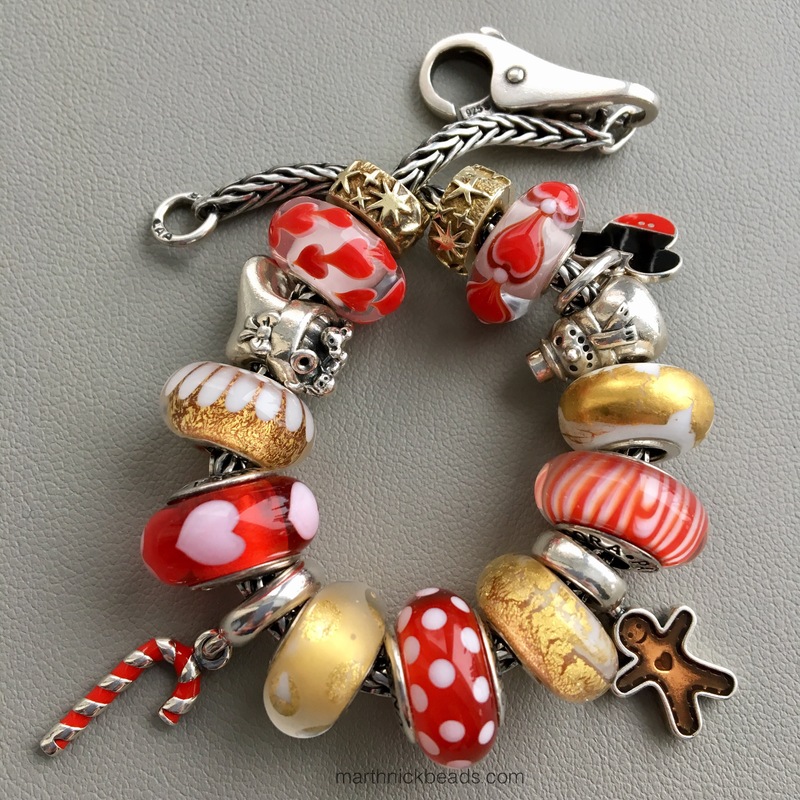 Below left to right after Minnie are Golden Dunes, Pandora’s Gingerbread Man, Pandora Candy Stripe Murano, Streams of Gold, Pandora Snowman, Pandora Disney Mickey Icon, a Trollbead from the Wishes and Kisses Kit and the Redbalifrog Brass Star Stopper. If my red Magic Band is still functional then this will work perfectly with it. Here’s a last look. These Beauty Beads are really lovely, in my opinion. I will be using them a lot and look forward to trying out some more combinations. There sure are a lot of options in the bead world these days! Love the red and gold combo! The Beauty Beads are really striking. I’ll have to go check those out. Although I’ve already done some damage at the after-Christmas sales, so I should go easy on the beads for a while! 🙂 Hope you had a great Christmas and are enjoying your Disney trip. 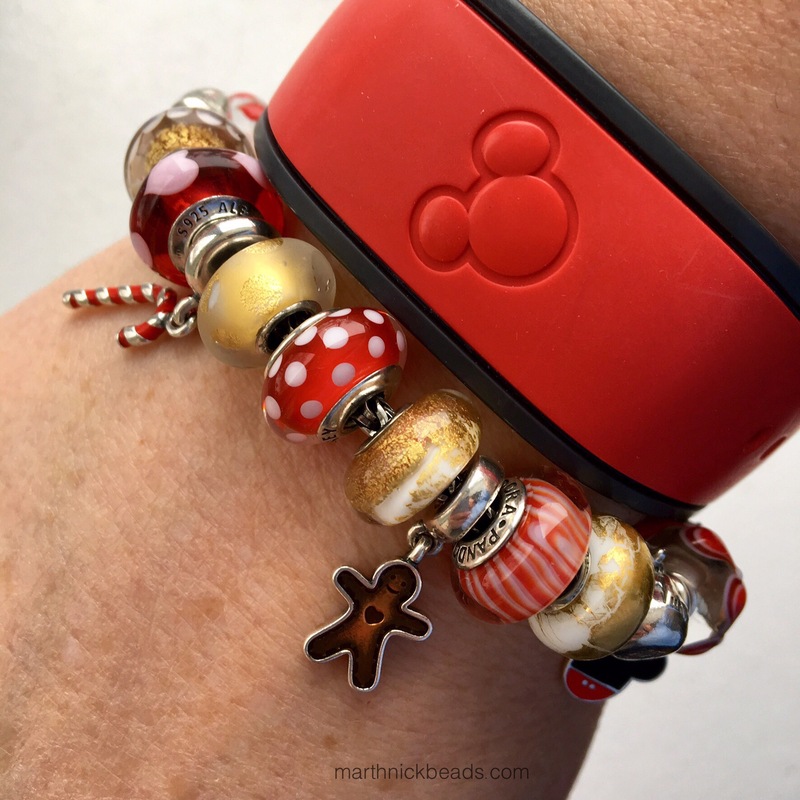 That Mickey Mouse dangle is too cute! Thanks Kim! Our minivan’s alternator broke in Ohio so it’s been a bit of an ordeal to get here, but all is fine now. 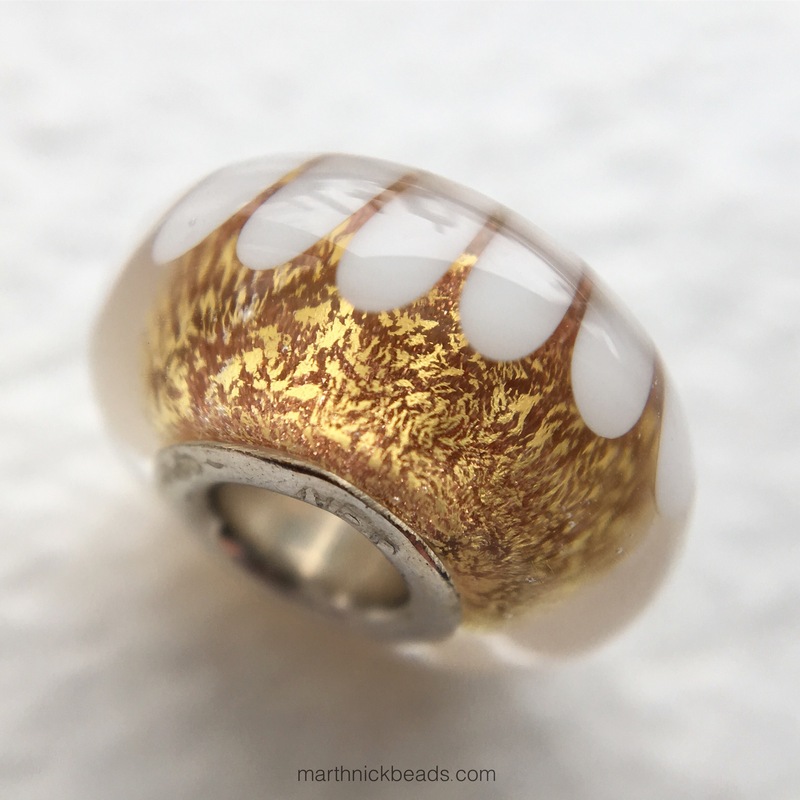 There are 4 new Beauty Beads after these ones and they also look gorgeous. Hope you had a nice Christmas! I hope to see your purchases later on Instagram! Those beads are perfect with your reds! I love the etched look of the Desert Mirage. Thanks Tracy, I love them with the reds also. I still haven’t taken it apart!